You know that buying from a farmer means your food will be fresher, tastier, and better for the environment — but did you know that it’s also great for your community? That’s right! 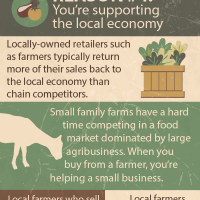 Here’s reason #4 why farm fresh is best: You’re supporting the local economy.